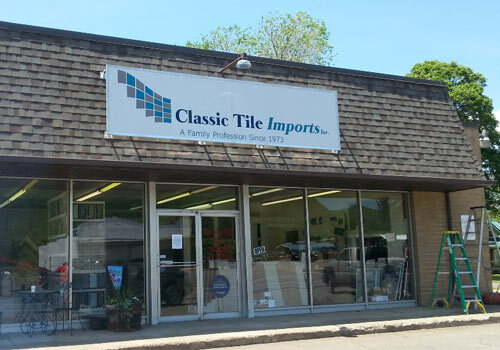 Tile Dealer Elmira | Tile Needs | Classic Tile Imports, Inc.
Classic Tile Imports, Inc. in Elmira, NY is a family-owned-and-operated tile dealer that has been in business for over 40 years. Our team is committed to helping you with your tile needs. Whether you are looking for stone tiles or need tile installation services, count on our experts for quality products and services each and every time. Several stores that carry tiles also offer carpets, vinyl, and wood floors. This limits their ability to fully understand each product the same way we do. At our company, we firmly believe in doing one thing and doing it well. That's why we work only with tiles, making us experts in the industry. My name is Mike Zaffarese and I am the second generation owner of Classic Tile Imports, Inc. My father started the business in 1973 to bring quality tile and craftsmanship to Elmira and the surrounding areas. 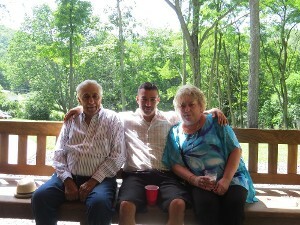 To this day, our business remains family owned and operated. We welcome everyone! Whether you plan to do it yourself or wish to have us perform the installation for you, we carry the highest quality products and perform the highest quality installations. We take pride in our work as we do it all ourselves. No subcontractors, no big companies, just us. That means we back our work with a warranty and 100% quality guarantee. Come on in and visit my family and I at Classic Tile Imports, Inc. We look forward to meeting you!